"One thinks about autonomous cars in isolation. 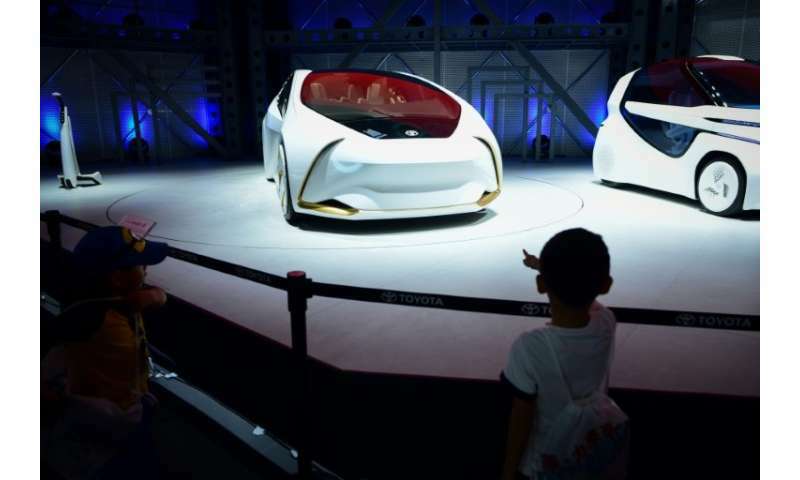 But what is also important is the information which is being shared between cars," Trevor Worthington, Shanghai-based vice president for product development at Ford Asia Pacific, told journalists this week at the Beijing auto show. "For example, I'm a car driver now on the road, I don't know whether it's a dog or a person (in front of me). But that other car has a much better view and knows it's a dog. So, if it was able to share information with me..." that could help avoid an accident, he said. With China aiming to roll out within four years 5G super-fast mobile networks that will allow for quick communication between vehicles, the nation could be the test bed for the new technology. Proponents say such communication between vehicles, and between them and road infrastructure, will not only cut the risk of collisions, but also make traffic more fluid with fewer tailbacks, thus making the travelling experience more comfortable and less polluting. 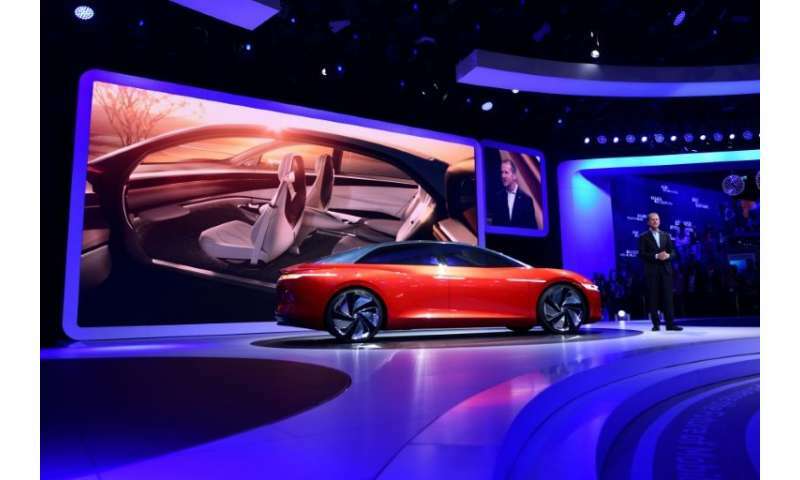 When a connected car brakes, it will be able to communicate data to the vehicle behind to enable the latter to do likewise, explained Guillaume Devauchelle, director of innovation at French automotive supplier Valeo, a leader in auto hi-tech. "Things will be much safer," Devauchelle predicted. He said connected autonomous vehicles will also allow for time to be saved when setting off again after lights turn green. Currently, cars get back into gear one by one when the vehicle in front of them moves, creating a kind of accordion effect. But connected cars will mean that "they can all set off again simultaneously, like train carriages," said Devauchelle. In the United States, tests are being carried out on convoys of lorries wending their way at close quarters along a motorway, the leading vehicle guiding the others. The benefits are threefold: fuel consumption is reduced owing to the other lorries being in the slipstream of the leading lorry, thereby also reducing pollution. Furthermore, fewer drivers are needed, freeing personnel up for different tasks. Highway infrastructure could also rein in speed via direct electronic intervention of the kind which the "safe communication" channel that 5G offers will permit, said Devauchelle. 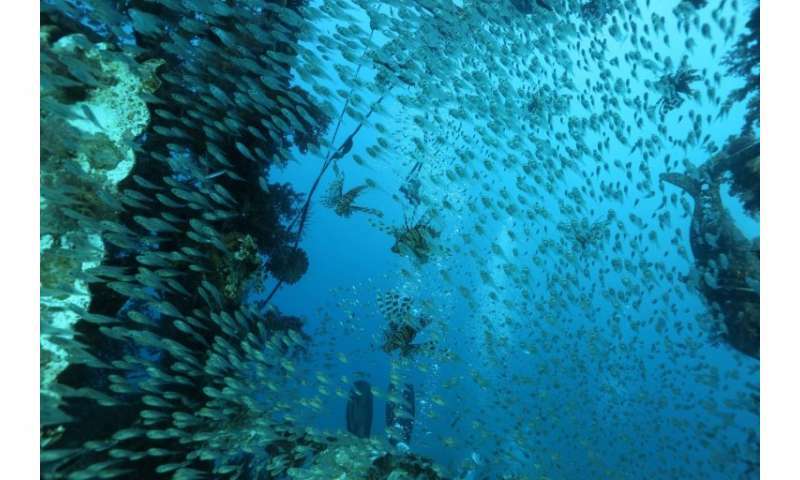 In 2009, studies by Japanese automaker Nissan into the development of anti-collision systems saw the firm look closely at how shoals of fish successfully weave around each other. The company then metaphorically took the fish out of the water to apply their movement to the auto world. Guillaume Crunelle, head of automotive affairs with Deloitte, said he sees connected cars moving as does a column of ants. "Inter-connectivity ... means setting off at the right moment, stopping at the right moment, taking the correct route relative to others," he said. Valeo was also demonstrating a technology dubbed XtraVue which will make it possible to view exactly what the vehicle in front can see thanks to the transmission of a video feed, thus helping to render overtaking a safer manoeuvre. The firms is also testing an "automatic valet" system which is to come on stream next year and has sparked interest among car rental firms. The auto-valet allows you to leave your vehicle at the entrance to a parking lot, then parks it automatically once a space becomes available. In the longer term, apps will be able to map free spaces anywhere in town by centralising information harvested from on-vehicle sensors and guide cars to the nearest spot. In Paris, noted Devauchelle, "around 30 percent of a journey time is accounted for by looking for a parking space."